Authentic Southern BAR-B-Q restaurant with all the equipment i.e. J&R Little Red Smokehouse, Chit wood Gas Grill, two-door Alto Sham, Aloha POS system with back office and two terminals in front, and more. 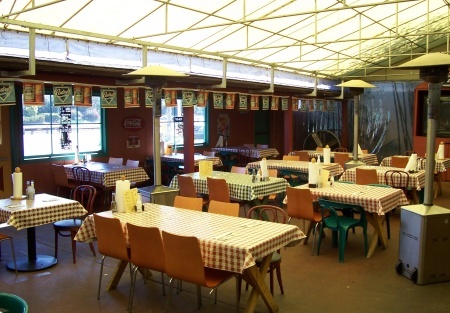 Located on busy Pacific Coast HWY near Moonlight Beach, this restaurant has enclosed outside patio, plenty of indoor seating, attractive fireplace and TVs scattered throughout restaurant. Great rent, $7600, 4500SQ.FT building with ample parking. A turn key operation and comes with a beer and wine license. Owner wants to retire! Free standing building with plenty of parking. Price includes F-150 & Ford Van---used for catering. Buy now before the summer rush!